I'm a huge fan of blush! Because I'm so fair, I find that I can look quite washed out without any colour in my cheeks. 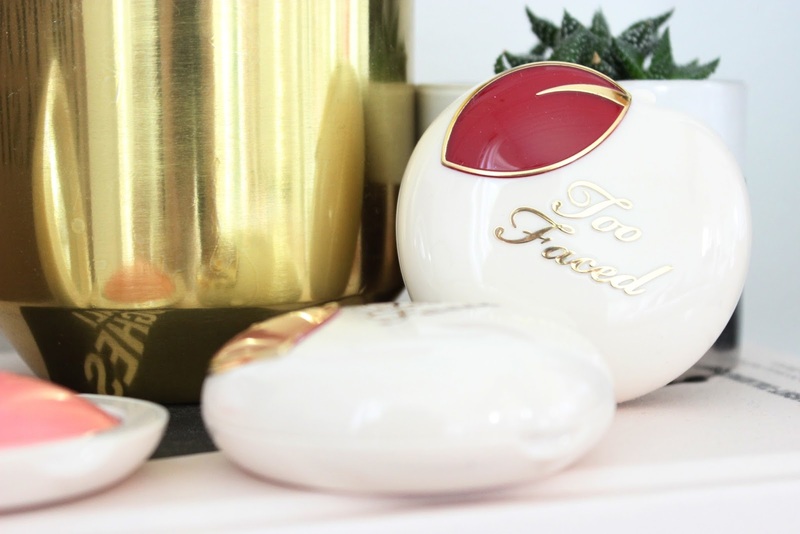 Over the summer, I really got into using cream blushes, so I was excited to hear that Too Faced was bringing out a cream blush that dries down to a powder. 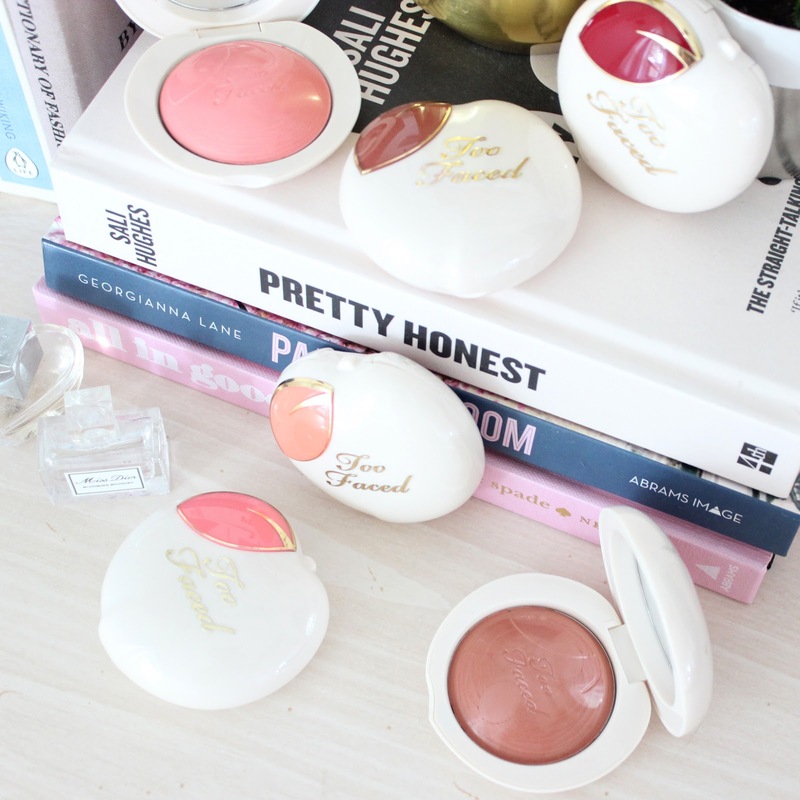 I was very kindly sent the Peaches and Cream collection, including the Peach my Cheeks blush, to try out have been playing around with the blushes for the last few weeks. Keep reading to find my thoughts on the range! I think the colours are beautiful and would work for a variety of skin tones. There are lots of pinks and nudes, and while you can build them up for a more opaque colour, they start off quite sheer. 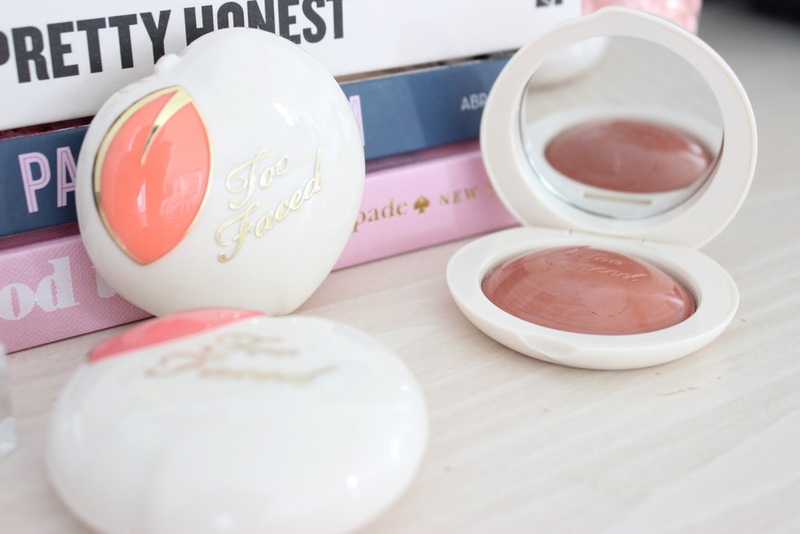 Peach Berry would be a gorgeous colour on deeper skin tones, but I quite like wearing it very lightly as well. With the exception of the palest shade (peach dream), I found they all lasted well throughout the day (which for me is over 10 hours). I didn't have any problems with them fading or shifting the rest of my makeup like other cream blushes can. In fact, I swatched these blushes on my arm about six hours ago, tried to remove it with an oil-based makeup remover and soap in the shower, and I can still see the deepest three colours. Now that's long-lasting! The blushes definitely have a creamy consistency when swatching and applying, but unlike most cream blushes I've tried, they do dry down to a velvet finish and stay put. The darkest colour (Peach Berry) is a tiny bit patchier than the others, but it could also just be because it's so dark I notice it more. In general, I find them quite consistent and apply beautifully. Overall, I think these blushes are beautiful. The colours perfectly complement the rest of the Peaches and Cream collection but are also natural enough to pair with almost any other look. 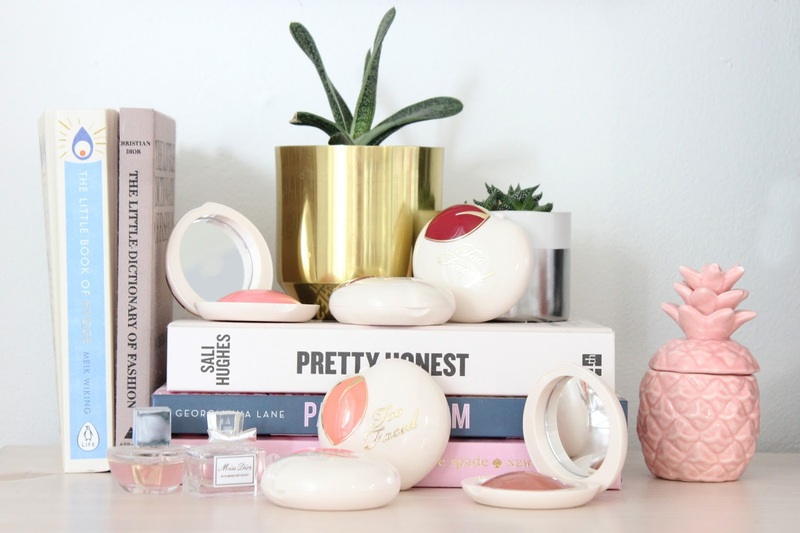 My preference is pinch my peach--its the perfect natural shades and goes with any eye or lip look and really works to sculpt the cheeks. 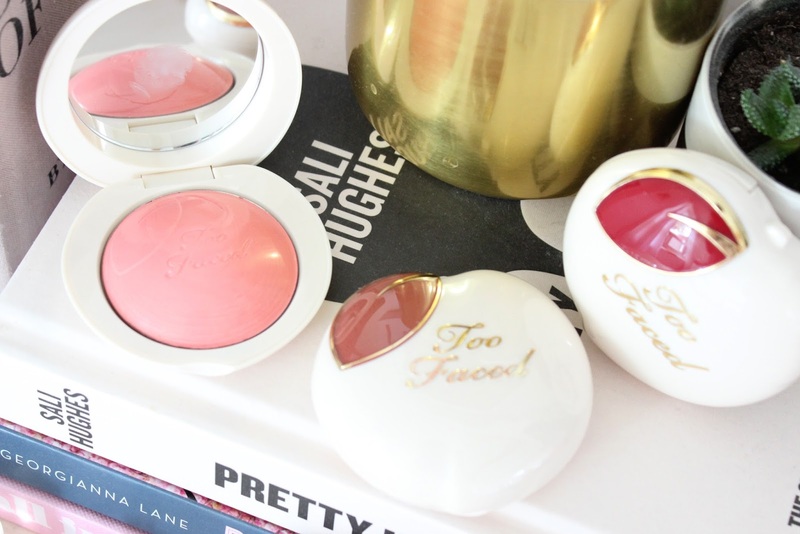 It would be my recommendation if you just wanted to start with one blush, but I would definitely recommend trying out a few of them!